Another must see! – Man Ray @ National Portrait Gallery. This year is turning into the year of great photography exhibitions! 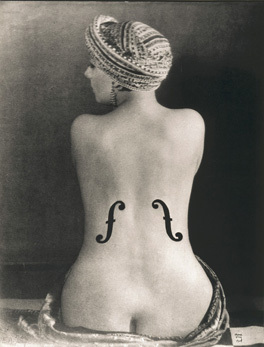 Man Ray was part of the Dada movement and a prominent Surealist Artist. He was the celebrity photographer of his day too, with friends from Picasso to Duchamp & Ava Gardner who can be seen in this exhibition. He was constantly experimenting with and pioneering darkroom techniques, from Solarised prints, Photogravure, and the Photogram. If you have never seen his work you must get yourself to this exhibition – soon!! The National Portrait Gallery – London. design by basedesigns copyright © 2012. all rights reserved.